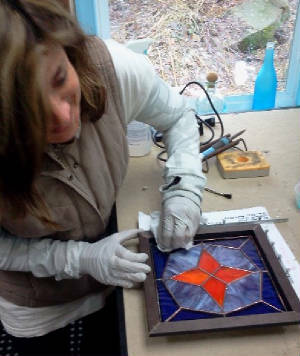 BEGINNER I: Students new to stained glass will learn core foundation skills in stained glass design, materials, tools and their use, pattern making, templates, cutting glass, fitting, foiling, panel assembly, soldering skills and patina applications. By making a simply designed flat panel, students will practice precise straight cuts and slight curves. 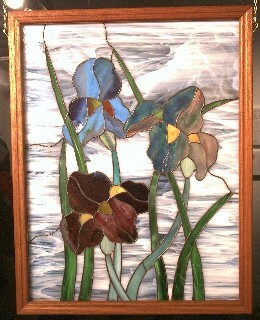 The completed project can be fitted into a frame or hung in a window. Two 7-hr sessions. BEGINNER II: Utilizing core skills learned in Class I, the student will advance to making a more complexly designed larger panel. The new skills will challenge him/her by introducing increased pieces and level of difficulty in cutting shapes and techniques. Design layout and practice on various advanced cutting and shaping tools will also be addressed. Two 7-hr sessions. 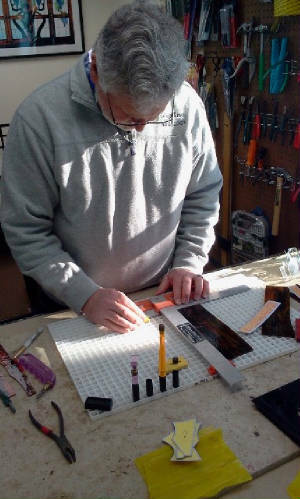 During each private class, students will select a design from several layouts provided by the instructor, to create a stained glass panel using translucent and opalescent glass. 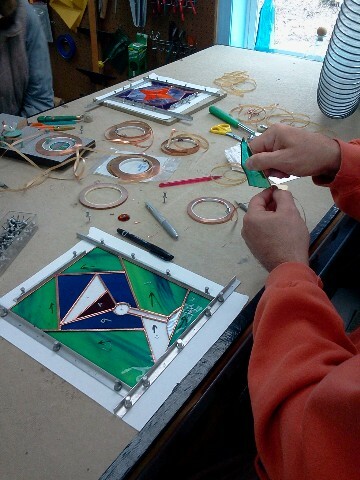 The focus of these classes is to teach the student how to cut, fit, assembly, solder a panel and master the basic skills required for continuing to make successful stained glass projects. These foundation skills will build upon each other to move the student quickly to the next level of more intricate cuts and design techniques. In class, students will discuss the types of cuts that can and cannot be achieved in glass, along with demonstrations and practice. 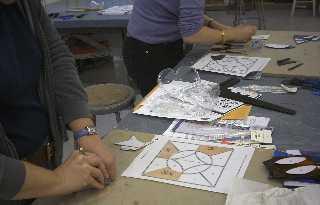 Students and instructor will discuss design construction to achieve a layout that is inherently strong. This will help the student plan better designs for their projects. Only the Tiffany-Copper Foil technique will be taught during these classes. Private Intermediate and Advanced classes can be arranged suitable to the project you want to do. 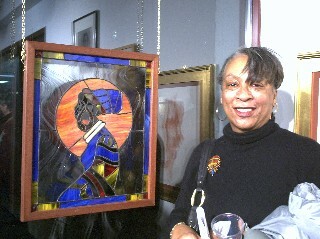 Also 1-hr "HELP ME" sessions to focus on a particular stained glass skill you would like to improve. Hourly fee is $25.00. Please call to discuss dates and times: 845-876-3200 or 518-537-7447. BEGINNER COURSE FEE: $595.00 per student for CLASS I or II / Student - limit 2 students per class (unless other arrangements are made). Weekends or Weekdays considered. 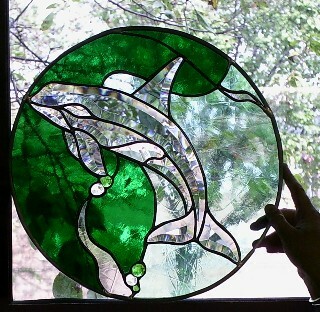 (INCLUDES ALL STAINED GLASS MATERIALS) * Light lunch provided or bring your own. All class fees are payable in advance to secure your spot. Convenient lodging nearby if needed. Call for additional information, dates, times. NEED STUDIO SPACE? 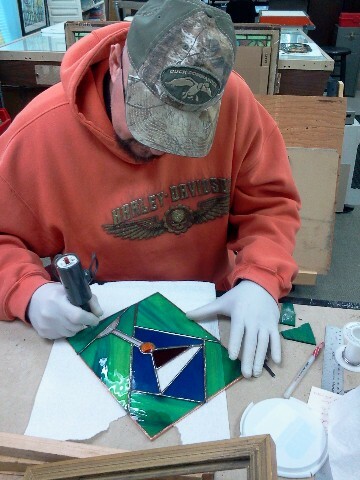 No room or place to work on your stained glass project? We can help. Hourly rental of studio time. Minimum 2 hours per session - $15.00/hr (Up to 6 hrs per day, payable in advance) depending on current studio project schedules. Use of grinding equipment, tools, chemicals etc. 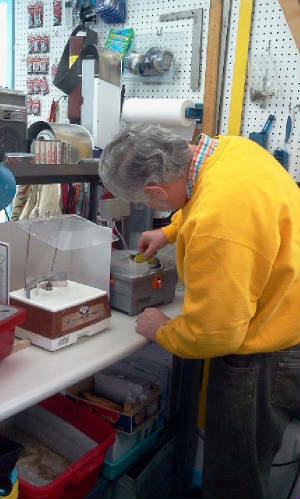 You supply your own glass, foil, lead, solder for your project. Instruction is not included but we can chat about what you're doing - just a convenient place to work on your own in a friendly, professional studio atmosphere. Call for additional information.